any day, a perfect day. 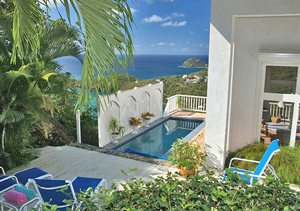 From the minute you walk in the front door of this delightful home, you will be captivated by it's charm, breezy open-air feeling and the stunning views. Rendezvous Bay and to St. Croix. relax on a float, or lounge in the sun. coffee maker, and toaster oven. 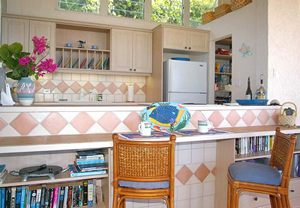 A built-in ice maker assures that there will always to plenty of ice for making delicious tropical drinks! 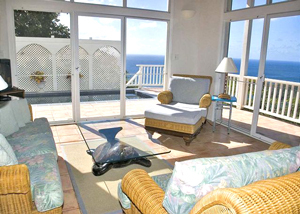 furnished with beautiful West Indian mahogany furniture. 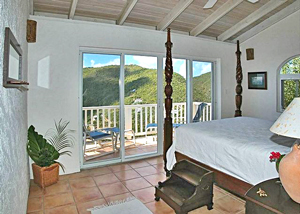 They each have a private deck accessed only through the bedroom. and enjoy the tropical breeze. Each bedroom has plenty of closet space, and an attached full bath. The showers have louvered doors, which you can open, if you like the feeling of an outdoor shower! one on each level adjacent to the bedrooms. 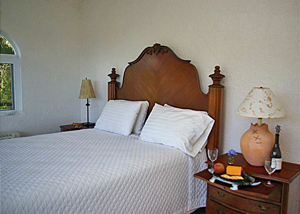 Each are furnished with a full size futon sleeper and tropical wicker furniture. enjoy a great book or take in the view! 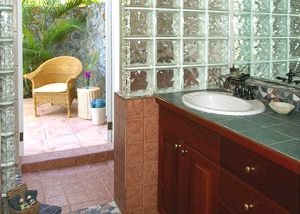 There is a third bathroom, with an island stone, outside shower. A full laundry is near the kitchen. The great room has cable television, DVD, and a music system. answering machine, and DSL with wifi to stay connected to the world. and accommodate up to 8 using the 2 lofts. No children under 8 years for safety reasons. 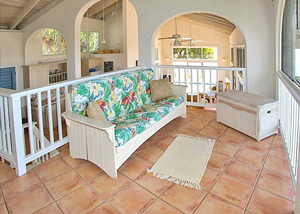 Sea Turtle Villa is three miles from Cruz Bay center on a paved road. To see the dates the home is available, click here.